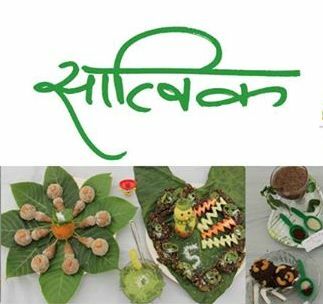 SATTVIK FOOD FESTIVAL 2016 is the 13th Traditional Food Festival and is organized to revive the Forgotten Tastes and Ties with Food. VENUE : IIM Campus, Vastrapur, Ahmedabad, India. EVENTS : Farmers' Fair of Organic and eco-friendly Agro-Products. Competitions highlighting children's creativity and biodiversity knowledge. Crafts, Pottery, Folk Dance and Folk Songs. Sattvik was first organized in 2003 by SRISTI (Society for Research and Initiatives for Sustainable Technologies and Institutions) in collaboration with GIAN (Grassroots Innovation Augmentation Network) , NIF (National Innovation Foundation), and IIMA (Indian Institute of Management, Ahmedabad). Sattvik was started twelve years ago to promote conservation of Agro-Biodiversity and creation of demand for Nutritional Crops. This festivals aspires to bring the Nutrient Rich Food from under developed areas to the urban populated area, to adopt a habit of consuming Healthy food and Lifestyle. It also encourage farmers to grow such crops and augment their income. So, You must come with your friends and family in SATTVIK TRADITIONAL FOOD FESTIVAL 2016 and help to conserve the depleting Agro-biodiversity!! !